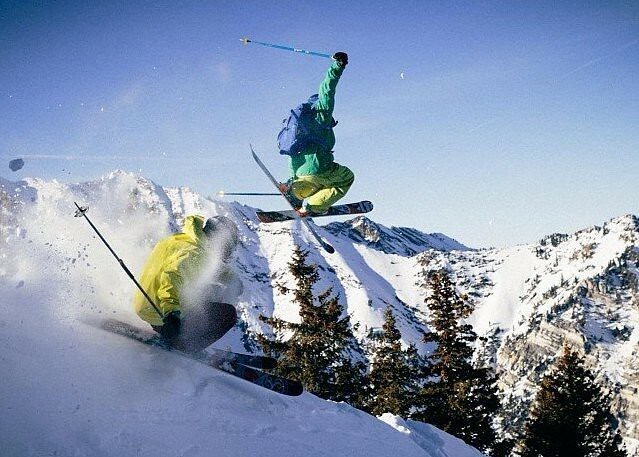 Every day I get the chance to ski is better than a day I don't. We turn the calendar into April in this week’s SnoCountry SnoCast. 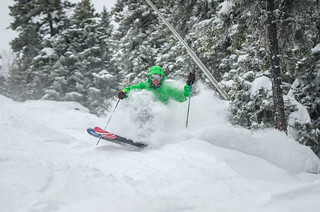 There’s still plenty of great skiing and riding to be had, with more snow in the forecast. 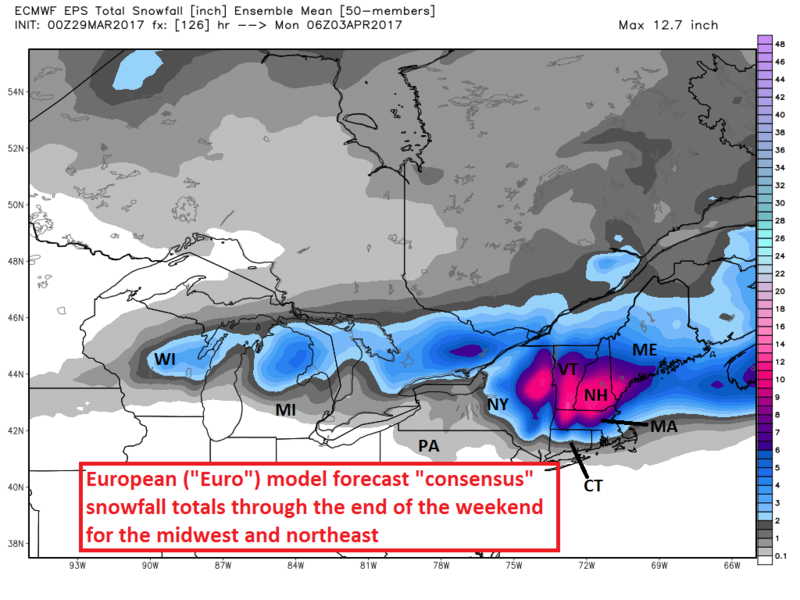 In this week’s outlook, I’ve got my eyes on a large storm system that will impact all areas from the Great Lakes to Northeast Friday-Saturday (March 31-April1) that will no doubt leave some bullseyes of deep snow in parts of New England and Quebec. In the West, a storm system drops in from British Columbia and the Pacific Northwest Thursday, before spreading inward by the weekend. Here’s what to expect by region for March 29 - April 3. Eastern U.S. / Midwest: In the Northeast and Midwest, March is sure to go out “like a lion," as they say. A storm system/low pressure will track from Missouri on Thursday, east-northeastward, eventually scooting off the Southern New England coast by Saturday. On the northern side of this storm system, a swath of snow will fall from Eastern Wisconsin, to Central/Northern Michigan, then eventually spreading over parts of New York and New England. There is some discrepancy among weather models by the time this system reaches New York and New England. The trusty GFS (American) and European models disagree on exact placement of heaviest snow once the storm reaches the northeast. 3-6” is a “safe” forecast for now for most of the lower Adirondack slopes, southern Vermont and the southern White Mountains in New Hampshire, with nearly 10” in far southern Vermont and Massachusetts’ Berkshires. That forecast is more in line with the GFS. The European is hinting at the system being a bit farther north, which would bring more widespread 6”+ amounts in the areas I just mentioned, and also spread farther north to cover more areas of northern New York, Vermont, New Hampshire and Maine with snow. Given that difference, it’s important to check the forecast as the time gets nearer to seek out the deepest snow for your Friday/weekend ventures to the slopes. 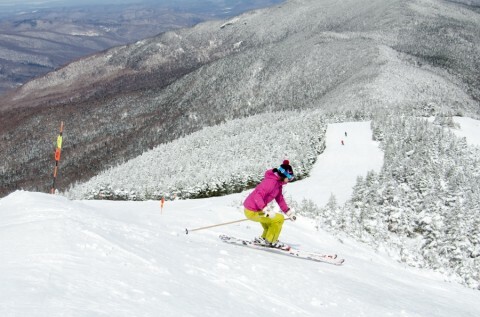 If I had to pick some early best bets, I’d say you can’t go wrong with some central and southern Vermont mountains, and even western Massachusetts Berkshire mountains by Saturday first chair. But again, keep an eye on that forecast because the storm can shift by the weekend. Western U.S.: The Western U.S. gets another system or two this week as energy moves into the Pacific Northwest Thursday, then eventually spreads inward by the weekend. This will mean more snow over nearly all of the higher mountains to finish March and start April. 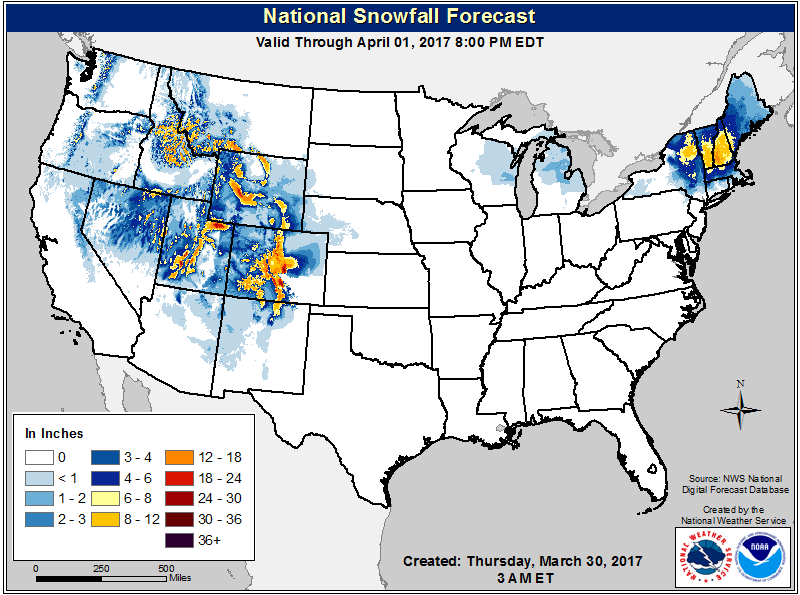 Look for anywhere from 4-9” for the Washington and Oregon Cascades, all mountains of Idaho (5-10"), and northwest Wyoming through Thursday. 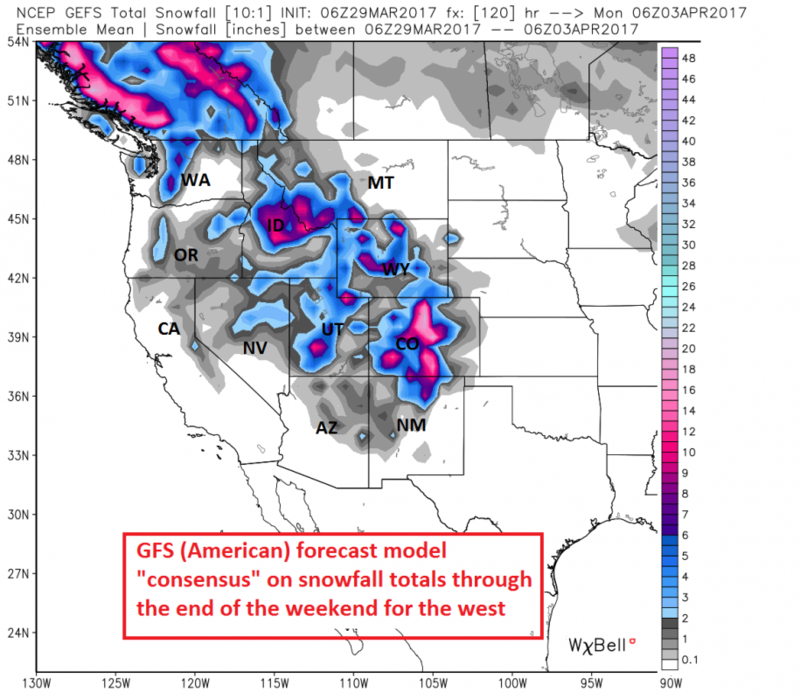 Then, look for new snow, probably higher totals, 6-12”, widespread for Utah’s Wasatch and Uinta Mtns, Wyoming and Colorado Rockies from Friday-Saturday. Locally higher totals will likely be squeezed out at the higher mountains, with up to 2 feet possible over the Colorado peaks. A good setup for the West into the weekend. Use caution, though, for those venturing into the Cascades. I do see high risk of avalanches after recent temperature fluxuations and wind. 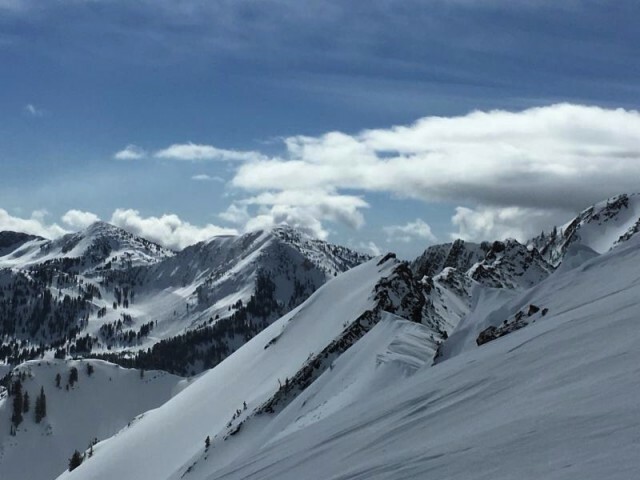 Ski areas typically maintain and control avalanche danger, but caution for those who seek out the backcountry.  Now remember, what I've shown you in images is a computer forecast model. There always needs to be some human interjection to make a good forecast. Thats what I do! And also what the National Weather Service does. Here's a look at the actual forecast snowfall totals from the National Weather Service. This shows through the end of Saturday, April 1. No joke! 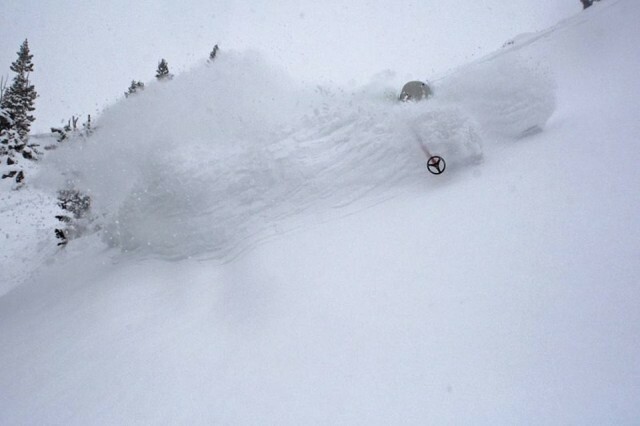 Canada: Plenty of new snow opportunities in Canada this week. The same storm I mentioned in the Midwest/Northeast section will bring fresh snow to our Eastern Canada mountains in Quebec and Ontario Friday-Saturday. 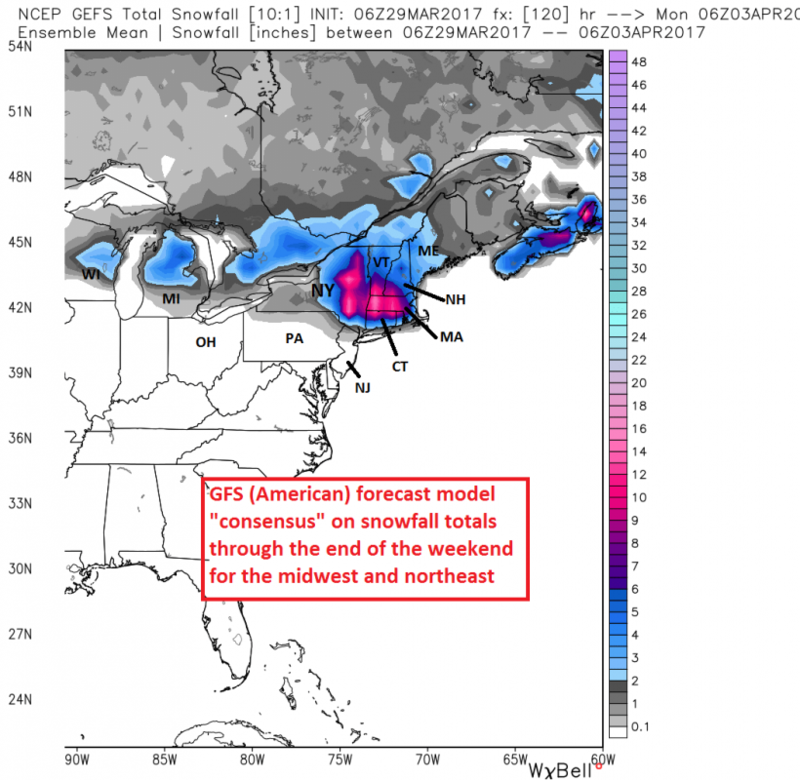 Again, depending on storm track, forecast amounts may vary by the weekend. Generally, 5 – 10 cm looks achievable, with locally higher amounts if the storm sneaks a little farther north. Just enough to soften up the trails. In Western Canada, a storm system brings ample mountain snow Thursday (March 30). 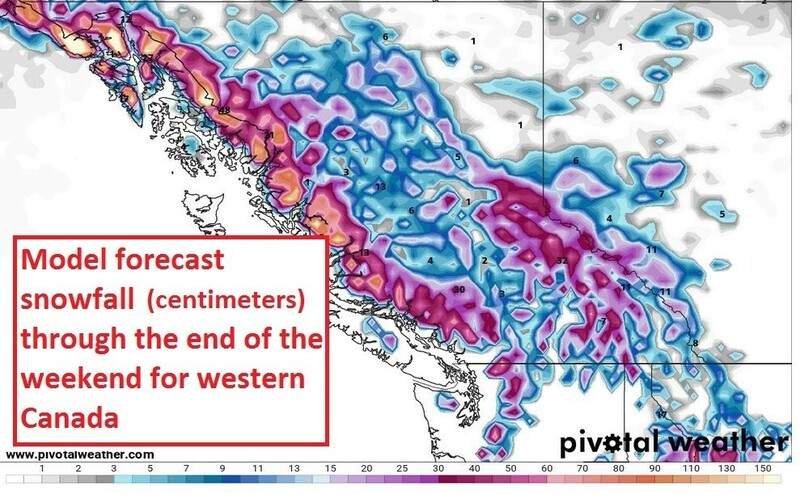 Many ski areas in British Columbia and Alberta will squeeze out 20-40cm from Thursday-Friday. Enjoy that! That's all for this week's SnoCountry SnoCast, skiers and riders. 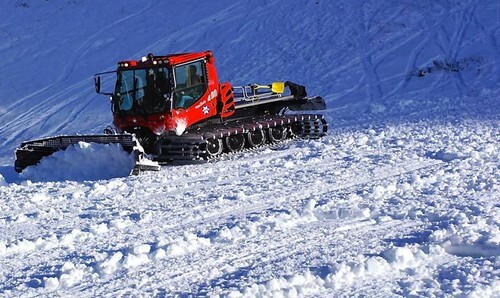 Have a blast with any new snow in your area. As always, I'll catch you next Wednesday for the next edition of SnoCast right here on SnoCountry.com. Special thanks to Lyndon State College student forecasters Amanda Stone, Scott Myerson, and Christopher Kurdek for their weekly contributions and forecasts. 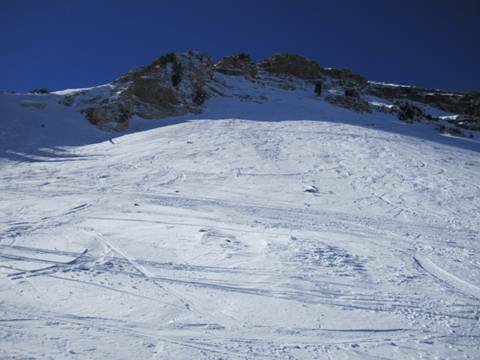 A final round of appeals by a group seeking to force Alta Ski Area to admit snowboarders has failed, leaving the Utah resort as one of three U.S. mountains that only skiers can enjoy. 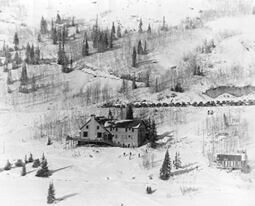 The pre-World War II years were halcyon days for the ski industry in the American West, with more than two dozen iconic ski areas firing up their lifts for the first time – including Alta Ski Area in 1938. It's official. 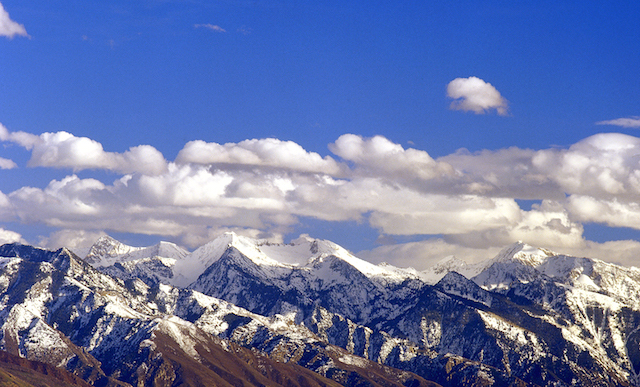 The season - at least in Utah - is going down as the warmest and driest on record. According to the National Weather Service, temps were consistently 7 to 13 degrees above normal from December to March; and that news comes on top of the reports that our nation’s winter overall was the 19th-warmest in the last 120 years. 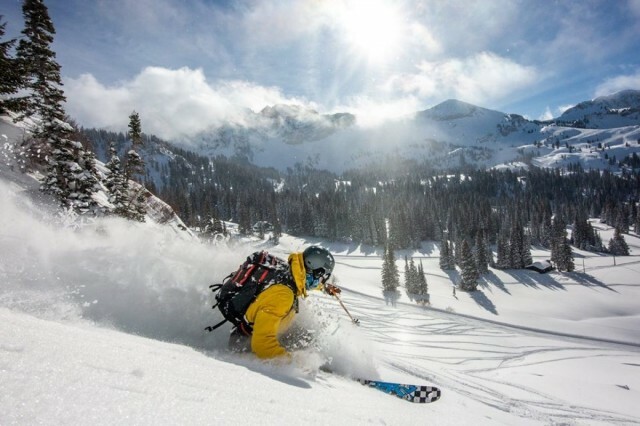 Because of its renowned ski school and equally famed terrain, Utah's Alta Ski Area has become a center for adult ski camps aimed at giving the experienced skier a way to get better. 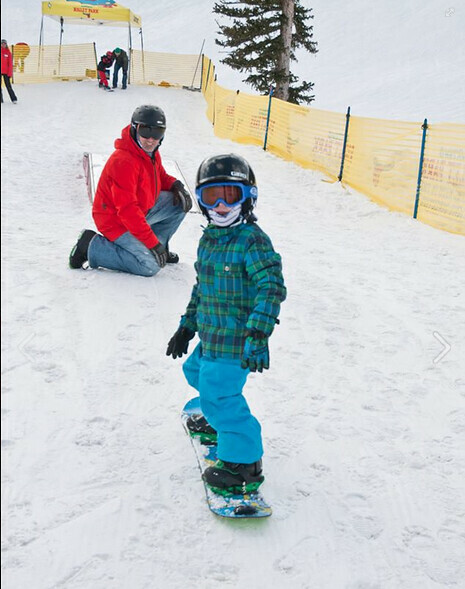 The lodges at the base of the Utah resort play a critical role in bringing comfort and convenience to these multi-day sessions. I heard they were opening the backside. 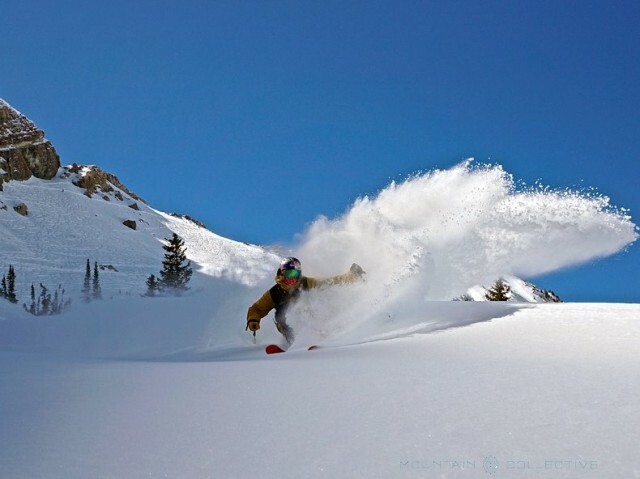 We’re talking Alta Ski Area — steeps, lots of rocks, known for serious powder. 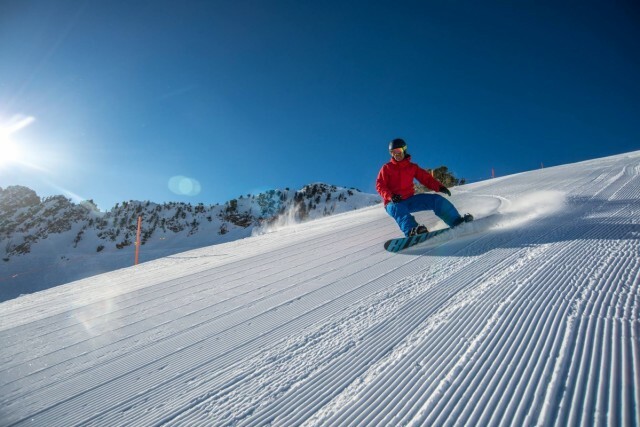 Climate change – and its threat to snow-dependent ski and snowboard resorts -- has become a priority for many resort owners, and a large number in the West are taking steps to reduce emissions and energy use. “We are not at all dissuaded,” said Rick Alden about yesterday’s ruling in U.S. District Court. 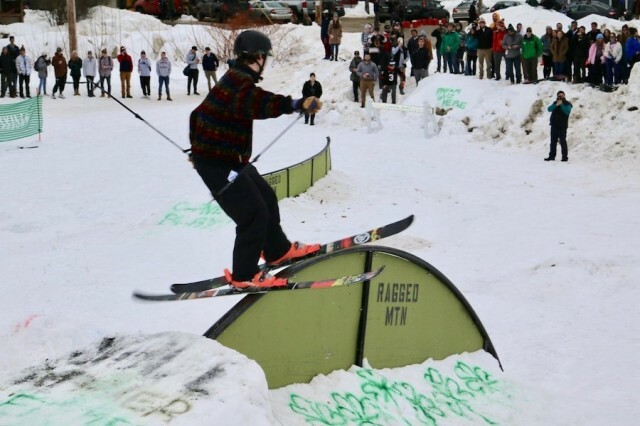 The legal war against Alta Ski Area last season for refusing to allow snowboarders on its lifts came to a head when Wasatch Equality (Alden, Drew Hicken, Bjorn Leines, Richard Varga) had their day in court. 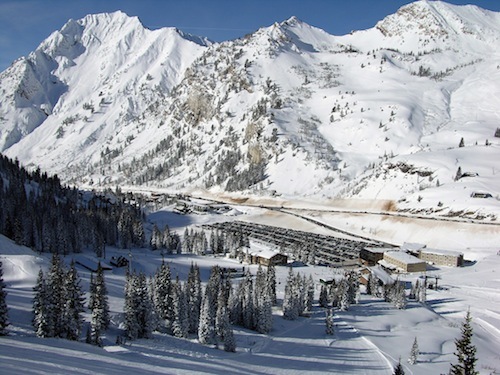 Just as the winter has gotten serious in the Utah Wasatch, Alta Ski Area has returned the favor with an unusual mid-season pass sale. 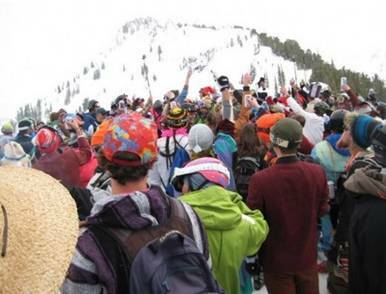 Snowboarders Sue Alta; Do They Have A Case? It appears snowboarders have finally decided they can’t take it anymore. 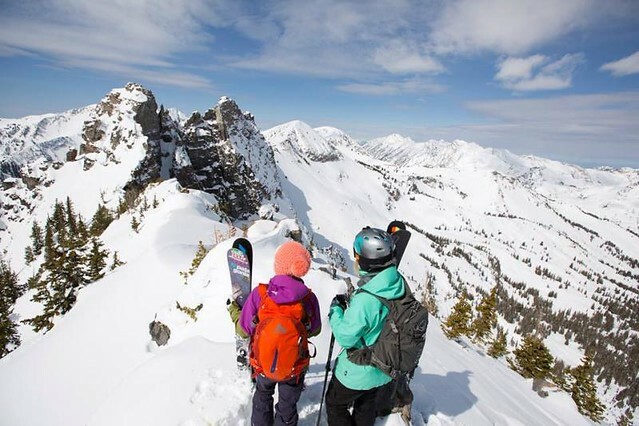 Citing protection under the 14th Amendment, four boarders and a Utah nonprofit corporation calling itself Wasatch Equality Utah, claim Alta has no right to ban them.